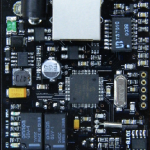 IQboard LAN is smart home power controller for DYI users and service providers. Suitable for sites which require remote control power of electrical equipments with temperature or humidity log. Equipment’s power can be controlled from any reason such as freezing, time-based power control, overheating or other. Power can be controlled over WEB browser from PC, notebook, tablet or smartphone. Smart IQboard can be simply controlled remotely from any WEB browser. Doesn’t matter if it’s PC, notebook, tablet or smarphone. All generated events and other alarms can be sent over SNMP traps. IQboard generate alerts for management station to notify user about events. Two power outputs can be controlled remotely by user, built-in scheduler, by static rules, by difference or by equitermic curve. 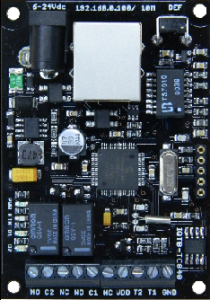 Power controller support many optional sensors to monitor environment and generate actions and alarms. Supported are external sensors like temperature and humidity.